See our selection of Bakoven accommodation all with amazing sea and mountain views. The lovely, village-like atmosphere make it exceptionally family-friendly and incredibly inviting. Bakoven gives you and your family the chance to explore all Cape Town has to offer, or to while away the days on a secluded beach that’s a haven for children and adults alike. 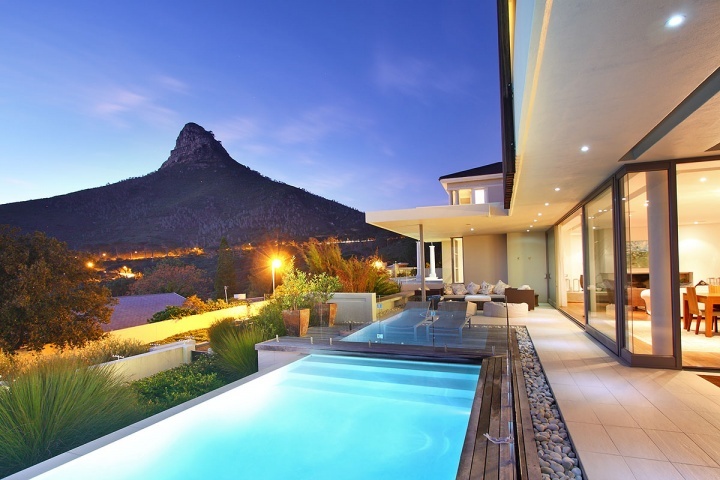 The exclusive Atlantic Seaboard suburbs of Cape Town are the ideal destination for a family-friendly holiday. 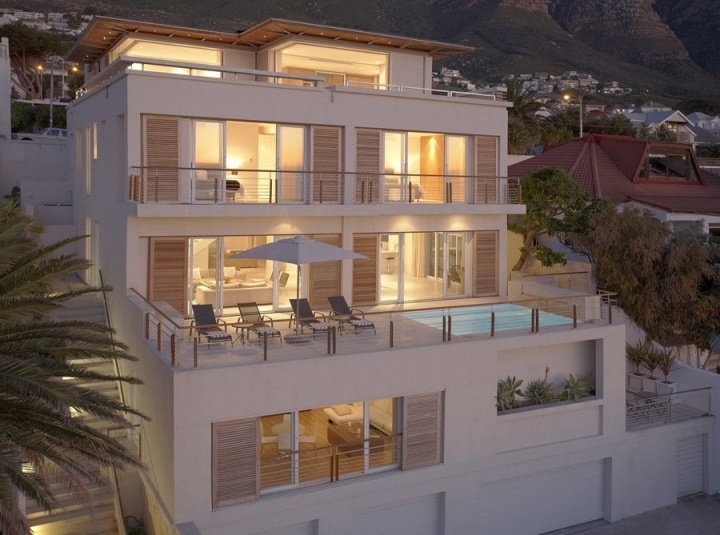 Bakoven neighbourhood has a village-like charm and although it’s close to the hustle and bustle of the city centre, V & A Waterfront, Camps Bay and Llandudno, it offers peace, tranquillity and superb sea and mountain views. Bakoven accommodation will appeal to families with children of all ages as it’s in a prime location. Being close to the beach is a huge advantage and there are plenty of parks and recreational areas nearby too. Blue Crystal positions you perfectly to enjoy all that this suburb and its surroundings have to offer and is a stylish, comfortable villa that’s family-friendly. 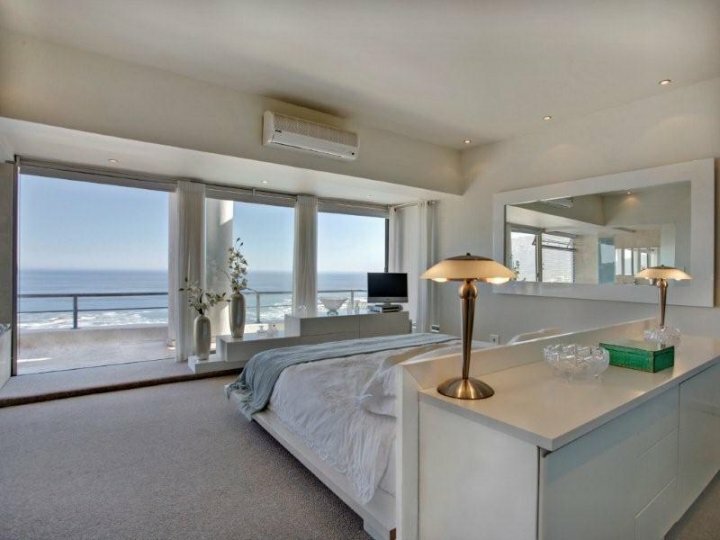 With 3 bedrooms and welcoming living spaces that feature breath-taking views of the sea and mountains, this Bakoven accommodation is perfect for relaxing and spending quality time with those you love. A sparkling pool, outdoor terraces with superb sea views and a private courtyard add to this villa’s appeal and the BBQ and outdoor seating for 8 make for easy al fresco entertaining. If it’s something a little more exotic you’re after, Mosaic Villa adds a touch of the orient to your holiday, as this self-catering villa has a distinctly eastern influence. Stylish, elegant and spacious, this villa sleeps 8 and is also pet friendly. The large outdoor areas and sublime pool provide a great entertainment space and the luxurious furnishings are comfortable and inviting. In the main house you’ll find 3 bedrooms and there is also a separate self-contained 1 bedroom cottage on the property. This cottage makes for the ideal teen pad or separate accommodation option for grandparents or other family members who’d prefer a little privacy. 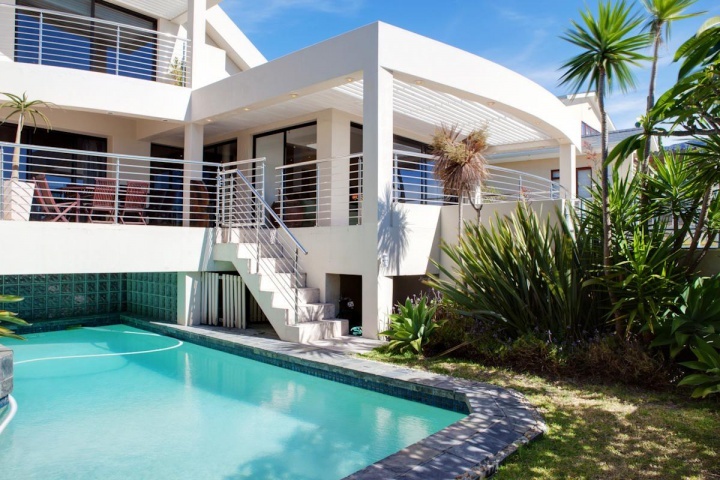 Bakoven’s proximity to the beach is undeniably one of its major draw cards and the beautiful Beta Villa is a mere 5m away from the sandy shores. 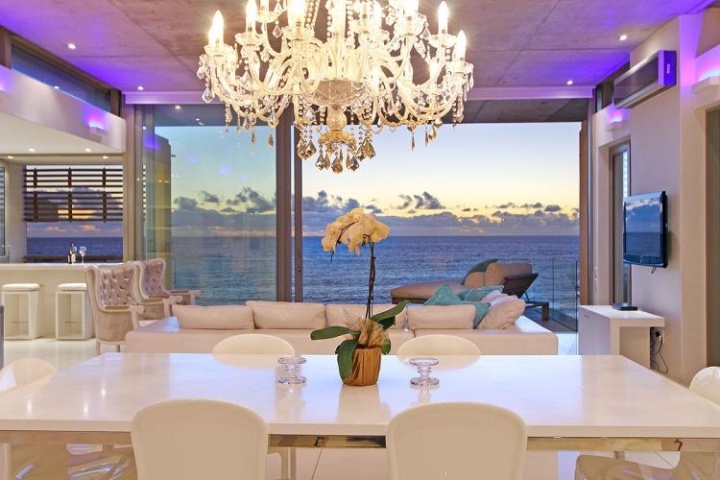 A family-friendly 4 bedroom beach house, this Bakoven accommodation is unpretentious yet luxurious, and the view from the terrace is absolutely spectacular. As well as being a mere minutes walk from the beach, there’s also a play park with swings and jungle gyms in the quiet cul de sac, making it suitable for families with younger children. The lush garden is also a wonderful place to play. 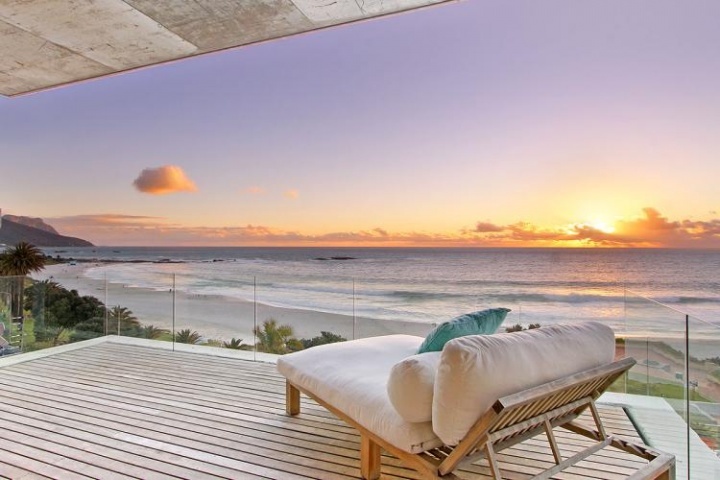 Being able to soak up the sun, watch the waves lap the shore and feel the fresh sea breeze all from the comfort of your Bakoven accommodation will make your stay in Cape Town a special one. Another amazing family-friendly villa that’s perfect for a beach side getaway is Turtle Rock. 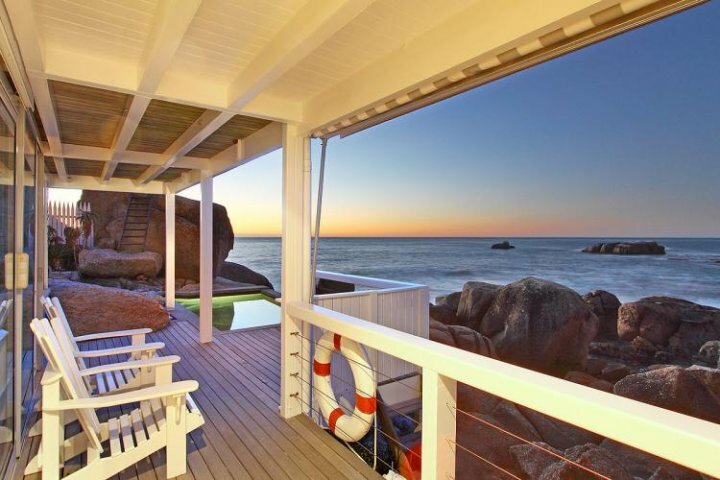 This charming home is perched right on the massive boulders that frame the beach and is only a few meters from the shore. 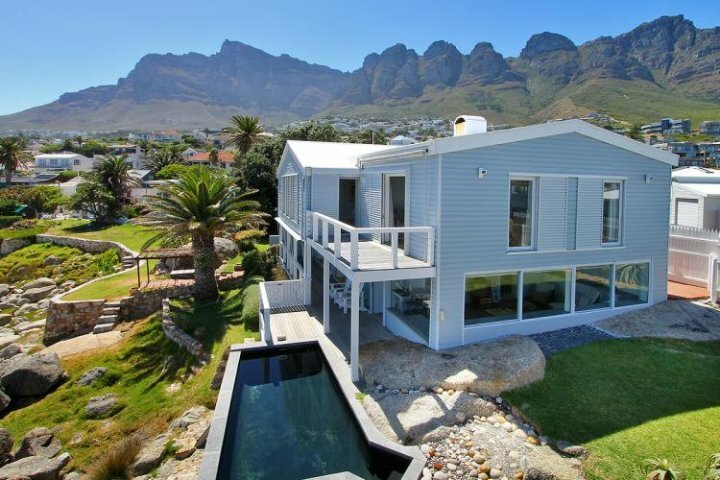 Sweeping views of the beautiful blue sea and the majestic 12 Apostle mountain range make this Bakoven accommodation all the more spectacular and provide the best possible backdrop for a relaxing break. The lovely garden, close proximity to the secluded beach and rock pools and the outdoor dining area ensure there’s everything you need for family-friendly fun. 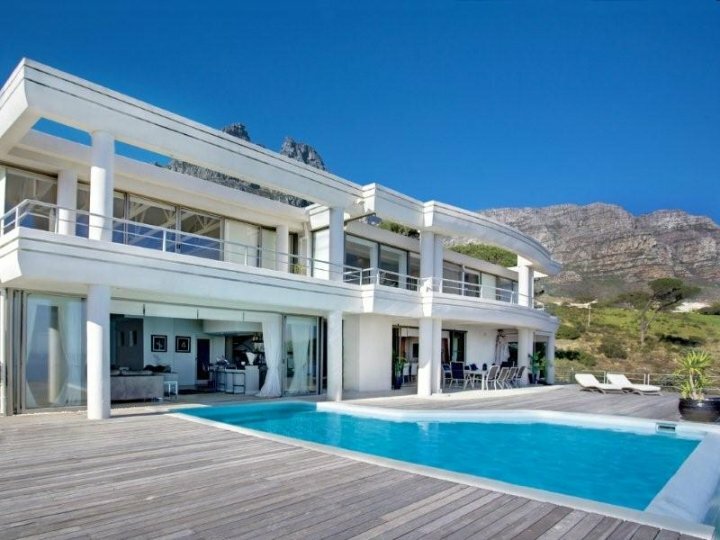 If you want to take your extended family on holiday, or invite close friends along, Views House could well suit you. This unique 7 bedroom holiday accommodation sleeps 14 people and is only a few minutes walk from both Alpha and Bakoven beaches. The swimming pool with optional fence, mini sound systems in all bedrooms, BBQ, outdoor entertainment area and garden ensure that children of all ages can have fun, and parents and friends can relax and enjoy themselves whilst admiring the glorious sea views. 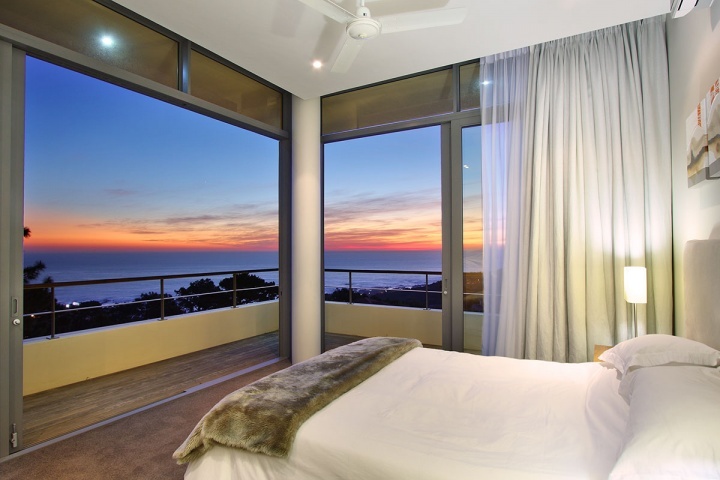 Views Terrace is another exceptional option for anyone looking for family-friendly accommodation that’s spacious enough for everyone, including grandma, grandpa and a few aunts and uncles too. This self-catering Bakoven accommodation sleeps 14 and features all the amenities you’ll need. Contemporary furnishings, clean, modern lines and large balconies with moveable shutters make this villa a great choice for families that want to spread out, enjoy their own privacy whilst still having the chance to bond whilst relaxing by the pool, on the veranda or in the open plan living areas. 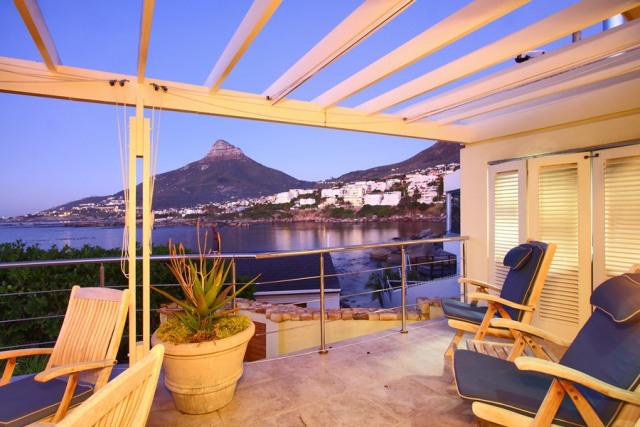 Pick Bakoven accommodation and experience an exceptional family holiday in Cape Town!